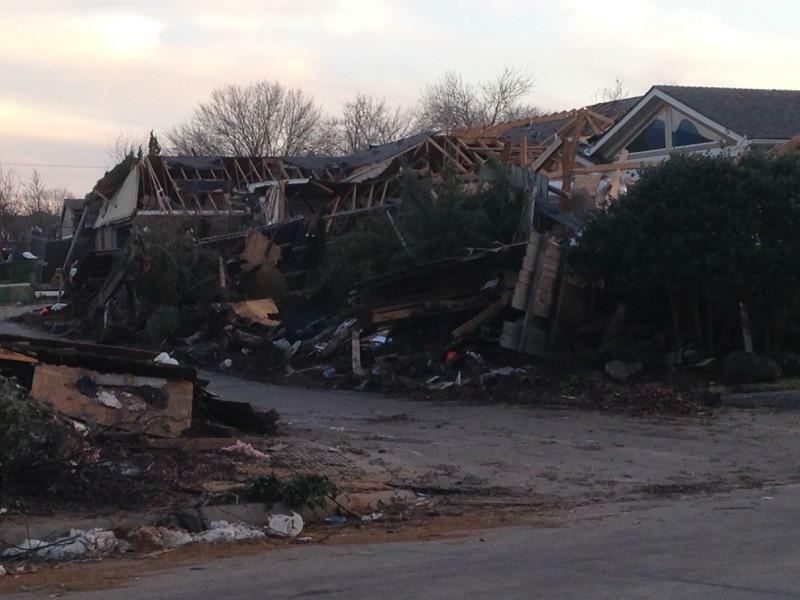 Last week the storms and tornado that struck on December 26 were declared a Federal Disaster. That declaration makes FEMA funds available to affected municipalities for clean up and infrastructure repairs. The requests for FEMA financial assistance for individuals without property insurance was rejected because applications did not hit the required minimum, which we were told is 800. Governor Greg Abbott is appealing the rejection and will have 30 days to increase the number of applications from uninsured individuals for FEMA financial assistance. The garland Fire department held its annual Awards Banquet at the Hyatt Hotel on Friday, February 5. Boy Scout Troop 100 presented the flag to begin the festivities. The flag ceremony was led by Quinn Saab, an Eagle Scout who who hopes to become a firefighter. Keith Webb was presented with the Firefighter of the year award and State Representative Cindy Burkett was given the Distinguished Service Award by the Garland Firefighters Association. 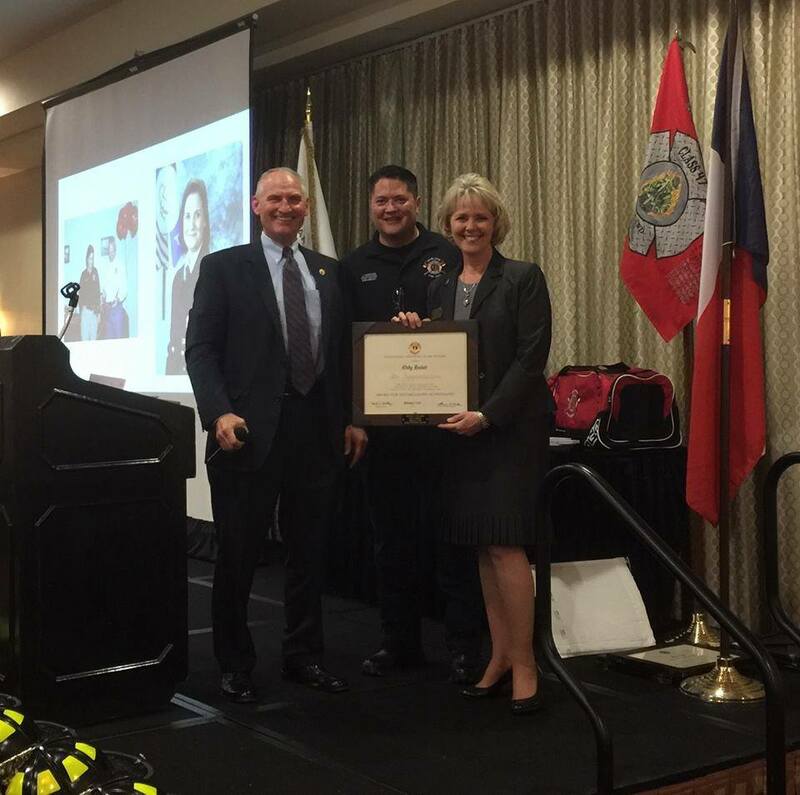 Both the garland Fire Department and the Garland Police Department host award banquets annually. These events provide the departments an opportunity to recognize those members who have performed in an outstanding manner and members of the community who have been especially supportive. It appeared to be a victory for historic preservation when the Pace House and what was then described as the Lyles House were saved from demolition a couple of years ago. 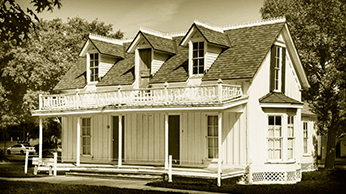 The City of Garland had decided that an apartment complex would better serve the community than what was then known as Heritage Park. 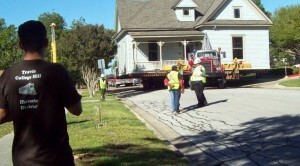 So the two old homes that had been the property of the City for decades, were moved to a temporary storage area behind the parking lot of the Granville Arts Center, where they remained for many months. Following what seemed to be endless meetings and discussions with city staffers and the City Council, it was decided that the Pace House, which had been maintained in reasonably proper condition and used over the years for events, would be given to Louis Moore. He would place it on a lot he owned on Eleventh Street, amid several other period homes he had renovated and next door to his own residence. The other house, in far worse condition, as the City had used it for storage, remained in the parking lot at the GAC while its new location would be determined. The City finally decided it would move the Lyles/Tinsley House to a permanent location at what is now known as Heritage Crossing. It was agreed that the City would move the house and do all necessary exterior work, while a newly formed group of history buffs calling themselves Preservation Garland would be expected to tend to restoring the badly neglected interior. So there the old girl sits, elevated on piers making it impossible to enter in any conventional manner as visitors. though its elevated position would make entry difficult for you or me, it hasn’t deterred the vagrants who have been camping inside. Indeed, we’ve been told smoke has been seen issuing from the chimney. A city staffer has advised Cleo Holden, President of Preservation Garland, that there is a plan to evict the vagrants, but what then? Why is the house in such a strange position, and why have no exterior renovations begun? For its part, Preservation Garland will have to do some serious fundraising, and they have taken the first step, which was to achieve a 501 C 3 tax status, which will make all donations tax deductable. 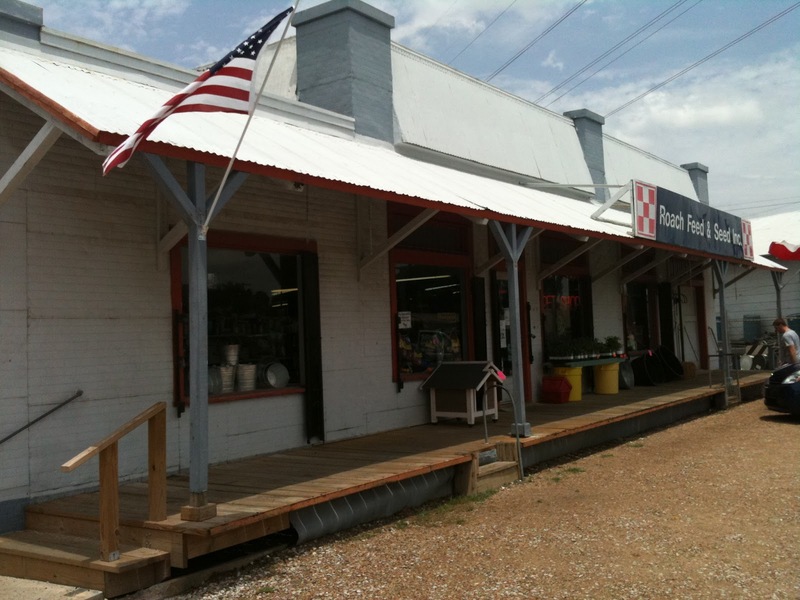 After approximately 80 years of continuous business at their Main Street location in downtown Garland, the venerable feed store has been given an insfusion of new energy and prospects with the purchase of the property by Robert A. Smith. Smith tells us he has entered into a long term lease agreement with Roach owner, Jack McDaniel. It will be business as usual at Roach Feed & Seed, but expect to see new signs of life, with a fresh new approach to revitalize the property. Smith owns many other properties in downtown Garland, including the Generator Coffee House, The Intrinsic Brew Pub and the space at 507 State Street., among others. Those of us familiar with those locations have reasons for high expectations for the feed store complex. On a recent visit to DFW Storage Finds in Rowlett, we were heartbroken to learn of the death of Brandon Holder, age 21, son of store owners April and Mark Holder. This hard working family moved to Rowlett from upstate New York, just two years ago and have endeared themselves to many since opening their store on Lakeview Parkway.